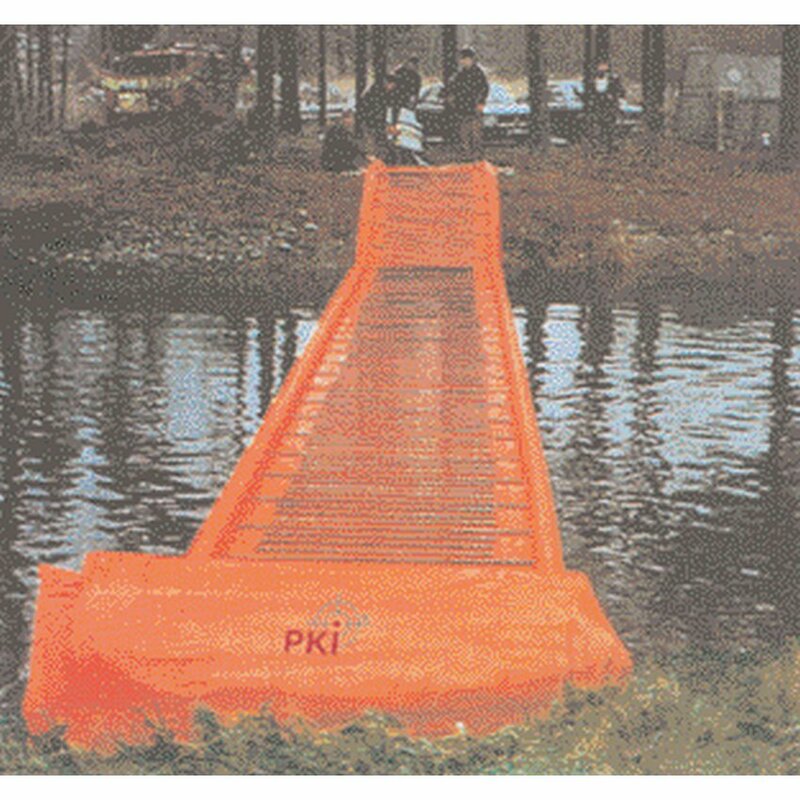 This portable rescue bridge can be erected over ditches or small waters within short time. The polyester construction in combination with wooden reinforcement provides a weight-bearing capacity of 200 kg/m2. 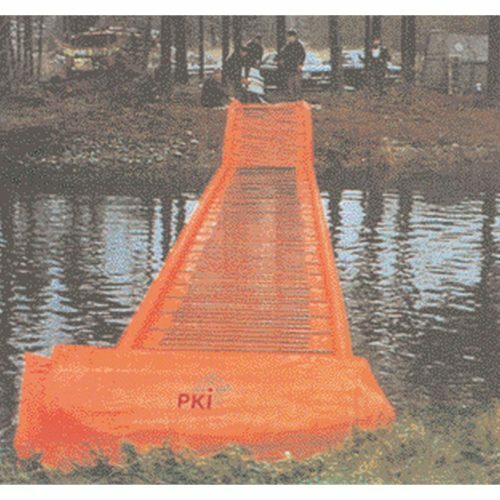 The PKI 9070 rescue bridge is the perfect equipment to save people in dangerous situations. Only 4 people are necessary to transport this inflatable bridge to the next emergency case.